Etruscan full face mask is hand made of authentic paper mache and is accented with raised detail. 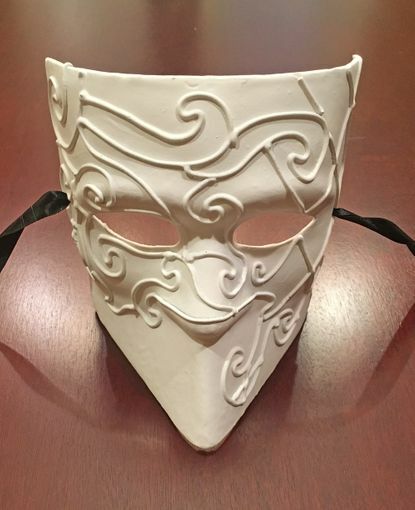 This mask is primed and ready to paint. Mask comes with black ribbon ties.